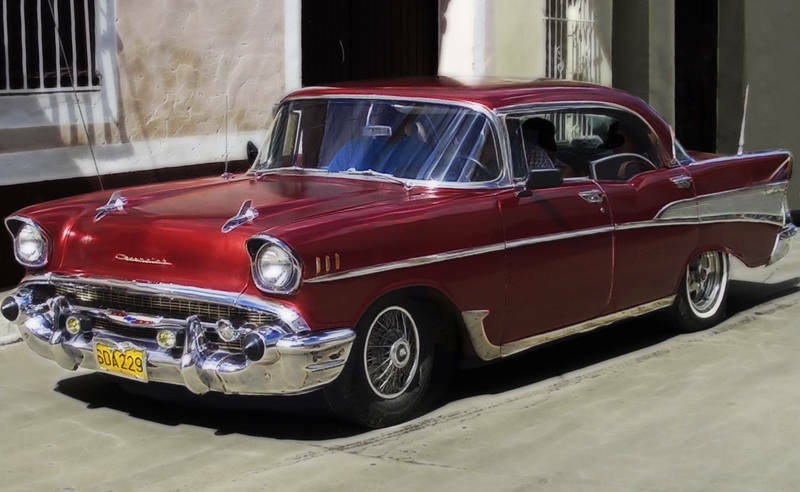 This is a 1957 Chevrolet in Trinidad, Cuba. To process this image I used a similar technique as the Blue Chevy. Orton Effect on the car and desaturation and de-focus background. To add some extra sparkle I also added a subtle Fractalius layer. If I had a car like that the corner of the street would be as far as the fuel would get me. You would be most welcome for the ride. It was your “From Station to Station” image which reminded me of the Orton Effect. It seems to work well on old cars. It makes them look shiny and new. It helps that the Cubans look after them. You need permission from the government to buy a car in Cuba and it is not often given. So classics like this are kept alive and handed down the generations.